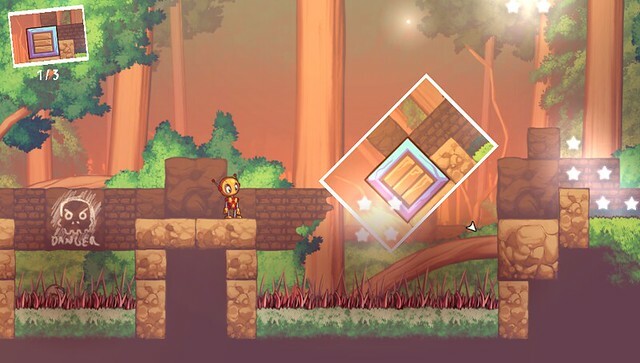 Retro Affect have announced their new 2D puzzle platformer game Snapshot, which will release for Playstation 3 and Vita. The game will be one of the few games currently available on both systems which supports cross platform save states, meaning you can use your Vita save on your PS3 and vice versa. The protagonist is named Pic, who is a robot in possession of a very high tech tech camera with a special power. The camera can literally “capture” and remove items from the game world, which can then be pasted back in to the game later. This mechanic will be the main method of traversing the world of Snapshot. Other skills will be required of course to get through the levels, most of which hinge on the use of the camera. Some of the other gameplay features include light and momentum photography, rotating photographs and much more. Snapshot will be releasing later this year on the Playstation Store for both Playstation 3 and Vita. If your itching for more details head on over to the PlayStation Blog for the full run down.